1. 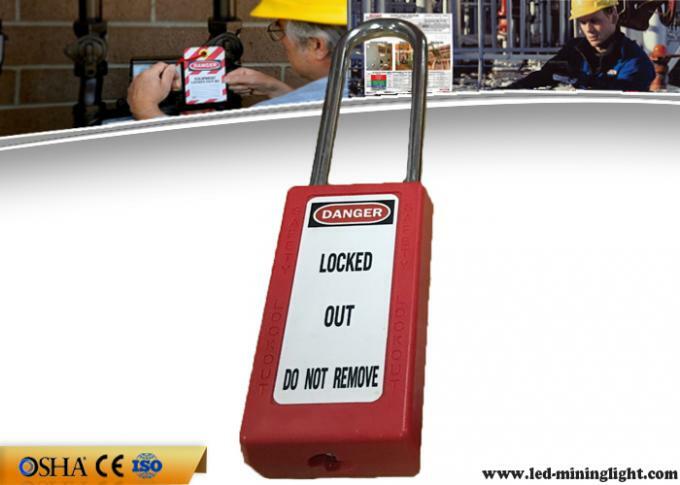 75mm long padlock bodyt=, new designed padlock lockout. 2. Free sample is available. 3. Body type: A, B, C, D Four types. 4. Key system: KA, KD, MK, KAMK. strength and deformation fracture not easily. b. Resistance of chemical, extreme temperatures and UV rays. c. Key retaining feature ensure the padlocks are not left unlocked. d. Laser printing available, front or flanks. e. All different colors available. 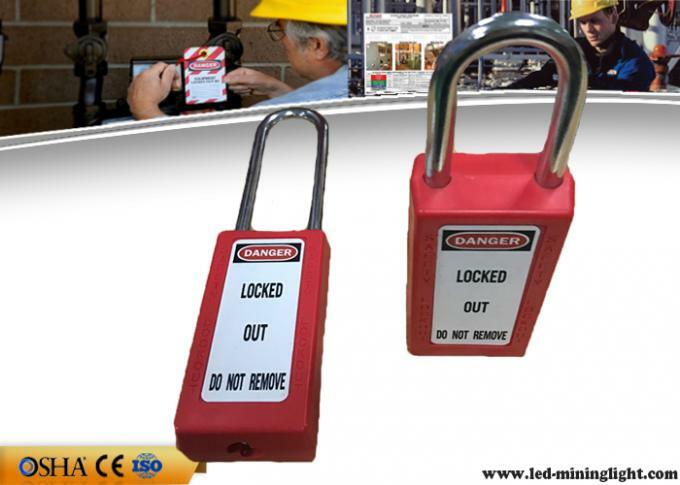 area larger for writing or can add the personal image, then recognize the padlock's owner. g. Can be engraved with customers' logo if required. Can be customized noctilucence PVC sign. 1. OEM Manufacturing welcome: Product, Package. Key alike and key differrent ,MK and KAMK system are all available. ZC-G33 long steel shackle padlock (all colors and four body shape available). Keyed Differ System(KD): Each padlock is keyed differently, supplied with 2 keys per lock. 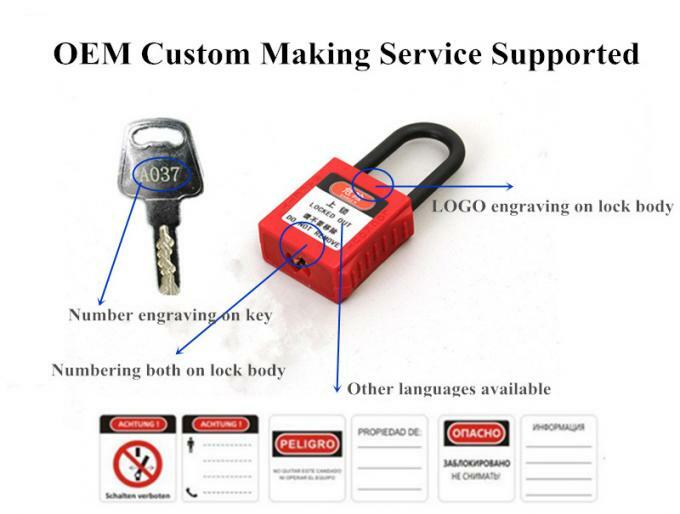 20000pcs individual padlocks available. Keyed Alike System(KA): Each padlock is keyed the same. 1 key will open all padlocks in each group. Differ & Master Key System(MK): Each padlock is keyed differently, supplied with 2 keys per lock. A master key will override and open any of these padlocks. 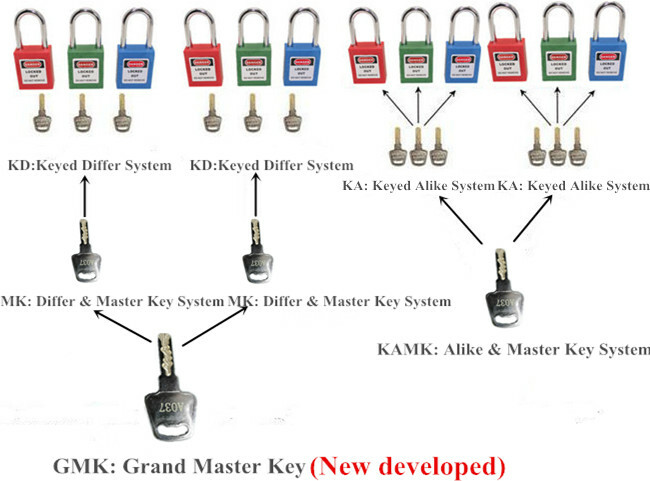 Alike & Master Key System(KAMK): Each padlock is keyed the same in one group. A master key will override and open all groups of Alike keyed.